We’ve heard a lot about the open, HTML5-focused strategy behind Mozilla’s Firefox OS for mobile devices, but that will all be put to the test starting this week. 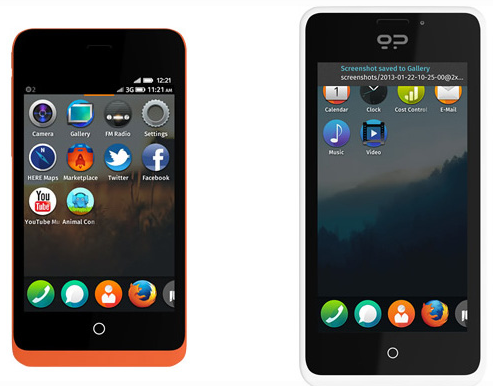 The first two smartphones running Firefox OS — Keon and Peak, low-end developer models from Spanish start-up company Geeksphone, are set to be ready for worldwide pre-order as early as tomorrow, possibly Wednesday, according to The Next Web. We’ve discovered a Geeksphone page announcing the sale of Keon for 91 euros plus tax ($118 US) and Peak for 149 euros plus tax (about $194 US). The page directs would-be buyers over to geeksphone’s store, which is temporarily down, presumably to be updated with listings for the new devices. To get all the latest phone reviews, news and features beamed straight to your Android device of choice, head to the Google Play store and download the free BeginnerTech today, by click our icon below. To use the QR code you will need a Barcode scanner, app from the play store, then click the QR code.